If you’ve seen James Cameron’s Avatar, you realize what 3-D effects can add to the visual experience. But 3-D production is just for the movies right? (National Association of Broadcasters) convention April 12-15 in Las Vegas, Nevada. Combining high definition footage shot on RED with custom animation created by RunawayTrain Productions AJA hopes to create a show stopper on the trade floor and increase the buzz about their new video production products. As marketers search for more eye catching visuals, and 3-D display technology becomes more affordable, (SHARP is advertising a sub $1000 3-D ready portable DLP projector) applications for 3-D content will infiltrate the corporate space. “We think this technology has some legs” says Sherman, “so we committed some brain cells into developing a workflow for 3-D content production using mostly our existing production tools”. 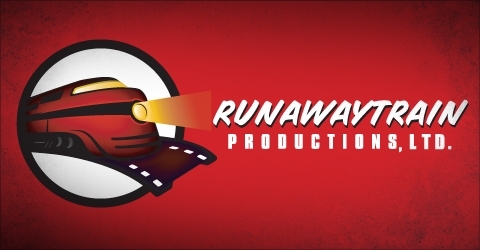 RunawayTrain Productions believes the investment will pay off and even though the AJA trade show project is a closely guarded work in progress, AJA is thrilled with the direction and excited for the impact it will generate. You can see it for yourself at NAB, April 12-15th at the convention center in Las Vegas. Has Google Speech Recognition Come of Age? Until now, if you are hearing impaired or speak a foreign language, you’ve been cheated out on the nearly twenty hours of riveting viral video that is uploaded each minute to our beloved YouTube. Ok, maybe not all the content is that riveting, but credit Google for introducing state of the art technology so the hearing impaired and non-native language speakers can share in the magic of “The evolution of dance” and “Achmed the Dead Terrorist” videos…. Denver Colorado’s RunawayTrain Productions is working with clients both public and private to integrate this new technology into new projects destined for YouTube. RunawayTrain not only believes this feature will allow videos to appeal more directly to foreign and hearing impaired audiences, but will give YouTube excellent data for searching videos and targeting ads to them. After all, a complete set of subtitles is the same as a transcript of the video. And you can upload subtitles for as many languages as you want. For the viewers, most YouTube videos now include a “CC” button that, if pressed, will automatically generate the closed-captioning technology. Google’s speech-recognition technology processes the main audio track and generates the text on top of the video picture. As you can guess, this leading edge technology isn’t always perfect but it is a quantum step in communication, as well as a leg up for marketers. Videos with captions display this small logo at the bottom of the player: If a video includes captions, you can activate them by clicking the menu button located on the bottom right of the video player. 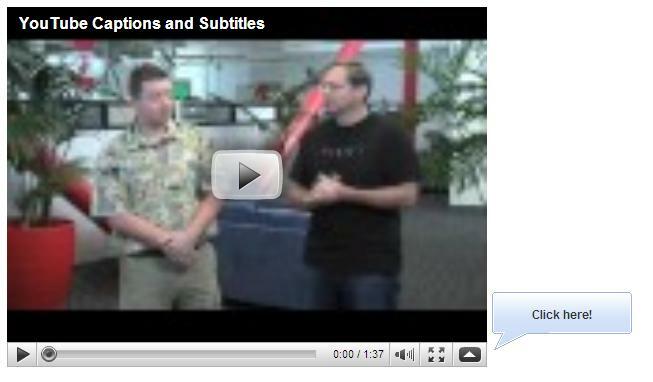 Adding captions to videos involves uploading a closed caption file using the “Captions and Subtitles” menu on the editing page. To add several captions to a video, you may have to upload multiple files. If you want to include foreign subtitles in multiple languages, upload a separate file for each language. There are over 120 languages to choose from and you can add any title you want for each caption. Users can also edit and assist in the transcription. Any text editor can edit the machine transcription, Google executives said, and then re-upload it for others to use. International Media Distribution (formerly International Networks), has been a leading provider of in-language and multi-ethnic programming in the United States for over a decade. IMD represents 28 TV channels that offer in-language programming from a variety of international sources. International Media Distribution is a wholly owned company of Comcast Corporation and a division of Comcast International Media Group. The video was conceptualized as a re-brand image piece that featured scenes from international networks in the IMD product offering. Comprised of stock footage, music and motion graphics it was cross promoted on multiple networks and increased awareness about the entire product line. International Media distribution and RunawayTrain Productions are up against some big players in the competition such as ESPN, Motorola/Garfield Group, The Big Ten Network, and GPON Always On Demand. The award will be given during the Cable FAXIES Awards luncheon on April 28 at the Grand Hyatt in NYC. There will also be coverage of each finalist in a special mid-day issue of Cable FAX Daily on that day. Xcel Energy produced two videos on SmartGrid technology with RunawayTrain Productions. The board of directors of Xcel Energy, the largest utility in the Rocky Mountain Region, contracted RunawayTrain Productions to produce two video projects structured to raise awareness and support for Xcel Energy’s new SmartGrid technology. The first video substantiated a legislative effort for the city of Boulder to revamp the city’s aging analog system and become the nation’s first “SmartCity”. By upgrading to Xcel’s real time management and distribution system, the city would not only become the flagship of green municipalities but reduced their annual operating budget. The second project involved integrating the video presentation into a mobile educational display that could attend events around the country to educate and market SmartGrid technology to both public and private entities. Xcel Energy enlisted the award winning motion graphics skills of RunawayTrain Productions in Denver Colorado to create a virtual city model and illustrate the technical advantages of the SmartGrid. Mixed with live action of everyday households, the video creates an effective relationship between energy management technology and the homeowner. RunawayTrain Productions partnered with Xcel Energy’s marketing department, technical representatives and product managers to concept, write and design a script which would explain the benefits of the SmartGrid technology as it relates to consumers, communities, and the environment. RunawayTrain Productions shot in multiple locations including Denver and Boulder using a Sony-EX3 high definition camera. Post production involved the use of complex 3d and 2d animation, stock footage, and live action to illustrate our culture’s transition from analog to digital as the fundamental difference between legacy technology and Xcel Energy’s new SmartGrid system.